The controversy surrounding Caster Semenya and her victory in the 800 metres at the 2009 World Championships in Berlin has resulted in the SA Athletics Statisticians (SAAS) taking a decision not to select a Female Athlete of the Year or make the Harry Beinart Award in time for publication in its 2010 NWU Puk South African Athletics Annual. These awards will be finalised once the International Association of Athletics Federations (IAAF) has made a ruling about Semenya's status. 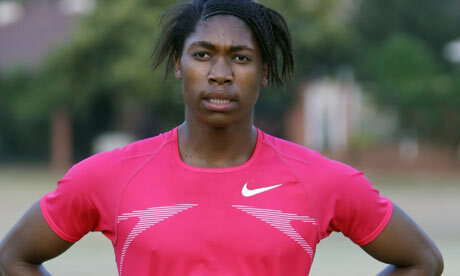 However, a photograph of Semenya has been placed on the cover of the Annual, which has just been published. She appears with men's 800-metre world champion Mbulaeni Mulaudzi to celebrate South Africa's brilliant success in the two-lap race in Berlin.